How do I get colors for Facebook messages? 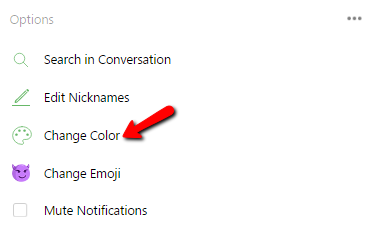 Facebook has been recently updated and the new Messages section has been redesigned a little, and now you have the possibility to change the colors for conversations. Simply go to the Messages link on the left side and wait for the interface to load, select a conversation and then click on the Change Color on the right side under Options. How can I restore deleted Facebook messages from my account? Where is the link to download Facebook Miner?